I am committed to assisting my clients in moving from struggle or feeling stuck into graceful ease, flow and empowerment. Is Psychedelic Psychotherapy for you? Really? Therapy with drugs? You’ve got to be kidding! Tired of Fighting Food + Your Body? 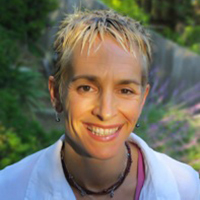 A licensed psychotherapist with over 19 years of extensive experience located in Mill Valley. I help adults get out of emotional ruts without having to do years of therapy, so they can have more joy and live their best life. I work with people who are ready for change, transformation and healing. Imagine moving past a stuck place that’s been with you your whole life. A stuck place can also be an indicator of underlying trauma. Most of us have trauma, it’s nothing to be ashamed of. The good news is that it’s possible to rewire old traumas so that you can start to move forward to claim the relationships, dreams and life path that are yours. I am committed to assisting my clients in moving from struggle or feeling stuck into graceful ease, flow and empowerment. I strive to create a safe place for healing to happen. My approach uses a variety of eclectic methods tailored to my individual clients' needs. I can work with you to build supportive structures for your life that are more expressive of who you are today. Sometimes this means taking a serious look at what is not serving you anymore and making some conscious choices and creative decisions to put your life back on track. I’m passionate about healing and have been fine tuning and honing my healing tools over many years. Sometimes just having a safe space to talk and a professional listening ear will allow stuck places to start to shift. However I get many people who have tried years of talk therapies and despite having a lot of insight and understanding into their issues, they still feel stuck with them. By “stuck” I’m referring to something that keeps showing up again and again. Perhaps this is because your psyche is taking you back to a place that is trying to heal. This is where these other modalities which I offer can be helpful. They access a different part of the brain that verbal therapy cannot reach. 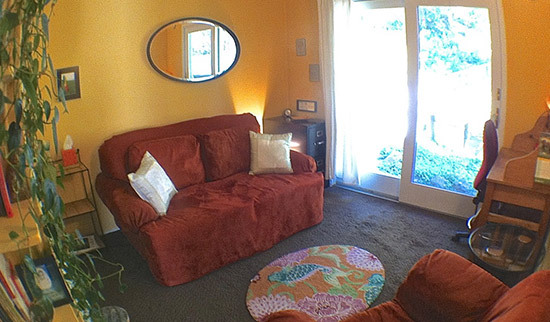 I offer confidential individual and relationship therapy at reasonable rates (sliding scale available) in Mill Valley. I accept PPO insurance with all insurance companies that cover out-of-network providers and I can provide super bills that you can submit to your insurance for reimbursement. Call Ondina at (415) 381-1065 or email ondinah@gmail.com for a no-obligation, free initial phone consultation. I also offer coaching services for those clients who have a specific goal and want a more structured and targeted approach. If you are wondering which approach is better for you I am happy to discuss by phone. While I bring the same level of training and expertise to both modalities it might be helpful to clarify which approach is better suited to you at this time. Geography also plays a role: While I can only provide therapy for clients living in California, coaching is available for those clients who live outside of California and even internationally. I offer these session via phone or Skype. I offer confidential individual and relationship therapy/ coaching at reasonable rates (sliding scale available) in Mill Valley.